ALLEGRA BOVERMAN/Staff photo. Gloucester Daily Times. 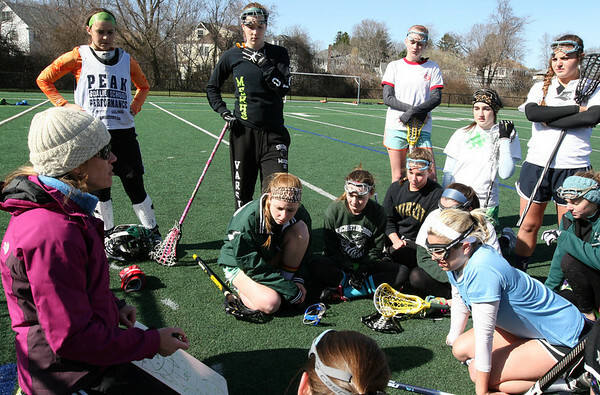 Gloucester: The Manchester-Essex Girls Varsity Lacrosse coach, Sarah Holch, far left, talks strategy with the team during practice on Tuesday afternoon at Field Field in Manchester.